In the 1980's, Nickelodeon ran a children's show called Pinwheel. My little brother watched countless hours of this show and as a result, so did I. Pinwheel featured a stop-motion french segment called Chapi Chapo (which I became obsessed with) about two little kids who got into mischief in a world of toys and blocks. The most endearing and annoying part of this show was that the kids were constantly laughing! So fast forward a few decades, I'm still think about the music on Chapi Chapo. What was it about the music that stood out? It wasn't just the show's musical intro but it was also the music that played throughout the show. It was rich and varied, and it was quite moving. The melody and harmony (played with a synthesizer and other electronic instruments) captured some deep moods that I found hauntingly sentimental. Perhaps I began understanding music differently at this age becuase of my introduction to choir and orchestra music that I picked up at John Marshall Elementary in Glendale, CA (thank you Ms. Abbott and Chloe Ross!). I learned to read notes and sing in the choir (my parents made me attend because of my sister), and I also began to understand how an instrument like the clarinet made a difference with an orchestra (the orchestra was my idea). My heart and mind took to music like a duck to water (or whatever the saying is). So Chapi and Chapo sounded complex and interesting, so much so that the tune was always in my head. I began to research who created the show and why a French show was on Nickeldoeon in the 80's! For whatever the reason, I am profoundly thankful. My research took me to a site that featured composer Francois de Roubaix http://www.imdb.com/name/nm0006262/. 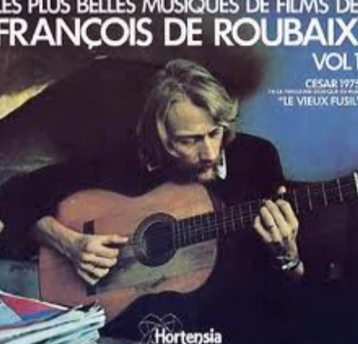 Although he sadly passed away in 1975 in a diving accident, he left quite legacy of music in the film world http://en.wikipedia.org/wiki/François_de_Roubaix. He was self taught musician that created wonderful music, as I soon discovered. Although I have not listened to his entire collection, I have found some great music for some the feature films he composed on iTunes. I particularly enjoyed Dernier domicile connu/Le rapace (bandes originales des films( https://itunes.apple.com/us/album/dernier-domicile-connu-le/id118556734 ) and Le samurai/Les aventouriers ( https://itunes.apple.com/us/album/le-samourai-les-aventuriers/id296412340 ). As a film score lover I highly recommend Francois de Roubaix's music. Not only has my sentimental journey (for old Nickelodeon programming) led me to a great find, but I have also learned that my current journey as filmmaker is very much connected to my childhood musical education.